Bolden agreed Wednesday with the Patriots on a two-year contract, Ian Rapoport of NFL Network reports. Analysis: Bolden spent the first six years of his career in New England before jumping to Miami in 2018. In his return to the Patriots, Bolden projects to receive most of his time on special teams, as the team already has more established running backs in Sony Michel, James White and Rex Burkhead under contract through 2020. Bolden caught his sole target for nine yards during Sunday's 42-17 loss to the Bills. He ends the season with eight rushes for 91 yards and two touchdowns, and three receptions for 13 yards and one touchdown. Bolden rushed four times for nine yards and caught his only target for four yards and a touchdown during Sunday's 17-7 loss to the Jaguars. 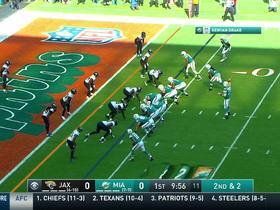 Analysis: Bolden did all of his damage during the first quarter, reaching the end zone on a misdirection play in which Kenyan Drake attracted the attention of most of the Jaguars' defense. The 28-year-old appears to have earned the trust of Miami's coaching staff in the red zone, but he remains difficult to trust for fantasy purposes due to the scant number of touches he typically sees. Bolden rushed once for 12 yards during Sunday's 41-17 loss to the Vikings. 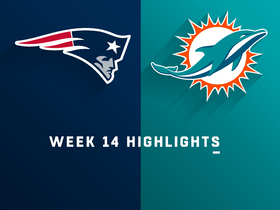 Bolden rushed twice for 60 yards and two touchdowns and didn't net any yards on his sole reception in the Dolphins' 34-33 win over the Patriots on Sunday. Bolden gained 10 yards on a single carry during Sunday's 21-17 win over Buffalo. Bolden has not logged an offensive snap this season entering the Dolphins' Week 12 matchup against the Colts. Analysis: Kenyan Drake and Frank Gore have done a nice job of avoiding the injury bug this year, so the Dolphins haven't had any need to turn to Bolden on offense. With fourth-round rookie Kalen Ballage the next man up behind them, Bolden faces steep odds of attaining fantasy relevance at any point the rest of the season. Bolden (hamstring) is listed as questionable for Sunday's game against the Bengals, Armando Salguero of the Miami Herald reports. Analysis: Bolden was unable to practice Wednesday after logging 18 snaps on special teams in Week 4, but he improved to limited participation Thursday before returning in full Friday. Given his progression in activity level throughout the week, Bolden figures to suit up Sunday while providing depth at running back behind Kenyan Drake and Frank Gore. Bolden (hamstring) was a limited participant in Thursday's practice, Adam H. Beasley of the Miami Herald reports. Analysis: Bolden sat out Wednesday's practice with a hamstring injury, but he appears to be progressing in his recovery. The former Patriot stands to take most of his snaps on special teams when healthy, and he's unlikely to see substantial carries behind co-starters Kenyan Drake and Frank Gore. Bolden (hamstring) sat out Wednesday's practice, Armando Salguero of the Miami Herald reports. Analysis: Bolden seemingly picked up a hamstring injury during Sunday's loss to the Patriots. The running back was on the field for just 18 special teams' snaps and has yet to carry the ball for the Dolphins this season, as he's buried on the depth chart. Bolden is slated to sign with the Dolphins, the Sun-Sentinel reports. Analysis: From a fantasy standpoint, Bolden will be behind listed co-starters Kenyan Drake and Frank Gore, as well as Sinorice Perry and rookie Kalen Ballage. The former New England Patriot will, however, add versatility to the Miami backfield, plus he's made a name for himself as an outstanding special teams player. 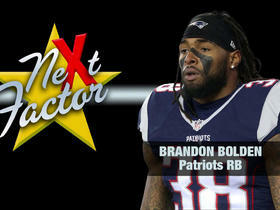 Bolden was released by the Patriots on Saturday, Field Yates of ESPN reports. Analysis: The Patriots released Bolden at the same time last year, then brought him back a couple days later. It's something teams do to help with roster flexibility during the mad dash to acquire players that have been waived or released by other teams. Of course, the Patriots might move on from Bolden if they find another player capable of handling a similar role on special teams. Bolden carried three times for 35 yards in Thursday's 37-20 preseason win over the Eagles. Analysis: Bolden has been with the Patriots since 2012, and he's managed to stick around that long thanks to his versatility and special teams prowess. Fantasy relevance this season seems unlikely for the 28-year-old, but it would be a surprise if Bolden didn't survive the team's final roster cuts. Bolden (illness) joined his teammates at practice Friday after beginning training camp on the non-football illness list, Mike Reiss of ESPN.com reports. Analysis: Bolden has hung around with the Patriots for each of his first six seasons in the NFL, but his role in the last couple of seasons has diminished to that of a special teams player. The additions of Sony Michel and Jeremy Hill this offseason put him further behind the 8-ball regarding a spot on the final roster, so he'll need to take full advantage of training camp to prove he deserves to remain with the club through cuts. Bolden (undisclosed) has been placed on the Non-Football Illness list, Mike Reiss of ESPN.com reports. Analysis: There isn't much information on Bolden's illness. The seventh-year back will have to compete for playing time in a crowded backfield that features several newcomers, including the likes of first-round pick Sony Michel and offseason addition Jeremy Hill. Bolden and the Patriots agreed Saturday to a one-year, $880,000 contract, Field Yates of ESPN reports. 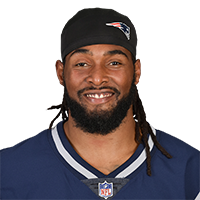 Analysis: Since going undrafted out of Mississippi in 2012, Bolden has spent all six of his NFL seasons in New England, though he's only logged 14 carries the past two years. Even with backfield mates Dion Lewis, Rex Burkhead and Mike Gillislee facing uncertain futures with the Patriots, Bolden likely won't be called upon to see an uptick in offensive snaps, as he was re-signed almost entirely for his strong work on special teams. Bolden finished up the 2017 season with 13 carries for 67 yards and one catch for seven yards in 16 games. Bolden carried nine times for 46 yards and caught one pass for seven yards in Sunday's 26-6 win over the Jets. Analysis: With James White (ankle), Rex Burkhead (knee) and Mike Gillislee (knee) all inactive Sunday, Bolden saw work behind Dion Lewis in the Patriots' Week 17 offense. By the time the Patriots return to action following their first-round playoff bye, the team's backfield should be healthier, which will result in Bolden returning to his normal reserve RB/core special-teamer role. 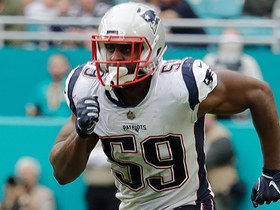 With James White (ankle), Rex Burkhead (knee) and Mike Gillislee (knee) inactive Sunday, Bolden is in line to work behind Dion Lewis in Sunday's game against the Jets. Analysis: Bolden earns his keep as a core special teams player, but he's in line to work in a complementary role behind Lewis on Sunday. It remains to be seen how extensive his workload will be, but Bolden can provide Lewis with breaks when he needs them in Week 17, plus he's a solid enough pass catcher to take on some some change-of-pace duty as well. Bolden (groin) is active for Sunday's game against the Bills. Analysis: Bolden was limited in practice throughout the week but won't be limited in Sunday's game. The backup running back has just two rushes for one yard through 14 games this season. However, with Rex Burkhead (knee) and James White (ankle) out, Bolden could see a couple of touches behind Dion Lewis and Mike Gillislee. Bolden is listed as questionable for Sunday's game against the Bills with a groin injury. Analysis: Bolden was a limited participant in practice this week to earn the questionable tag. The 27-year-old has not been a factor in the Patriots' backfield this season and should continue to serve his role on special teams if able to suit up Sunday. 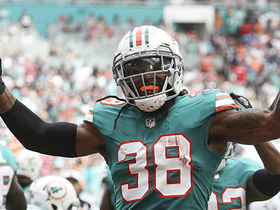 NFL Network's Kay Adams highlights why Miami Dolphins running back Brandon Bolden's incredible Week 14 performance is an underappreciated storyline. 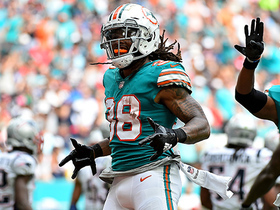 Miami Dolphins running back Brandon Bolden takes off for a 54-yard touchdown run vs. the New England Patriots. New England Patriots linebacker Albert McClellan speeds through the Dolphins offensive line and blocks the punt to give his team great field position. 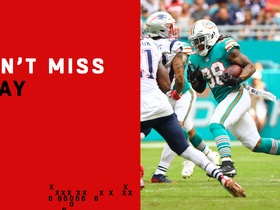 Miami Dolphins running back Brandon Bolden finds the end zone for the second time in the game as he powers in for a 6-yard touchdown. 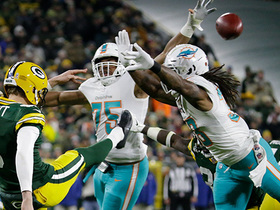 Miami Dolphins running back Brandon Bolden blocks Green Bay Packers punter JK Scott's punt attempt and Miami Dolphins wide receiver Leonte Carroo recovers for the Dolphins. 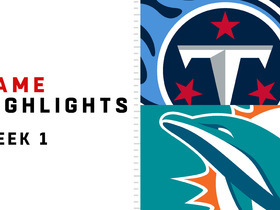 Watch the full game highlights from the Tennessee Titans vs. the Miami Dolphins in Week 1 of the 2018 NFL season. 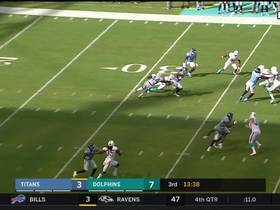 Tennessee Titans cornerback Adoree' Jackson receives punt return and breaks through Dolphins defense to mid-field for a 26-yard gain. Jackson was injured on the play. NFL Network's Nate Burleson explains why Patriots running back Brandon Bolden will be the next factor in the AFC Conference Championship Game.